I wish we travelled longer as the flight journey was too long. We fly using Etihad Airways with Abu Dhabi transit. 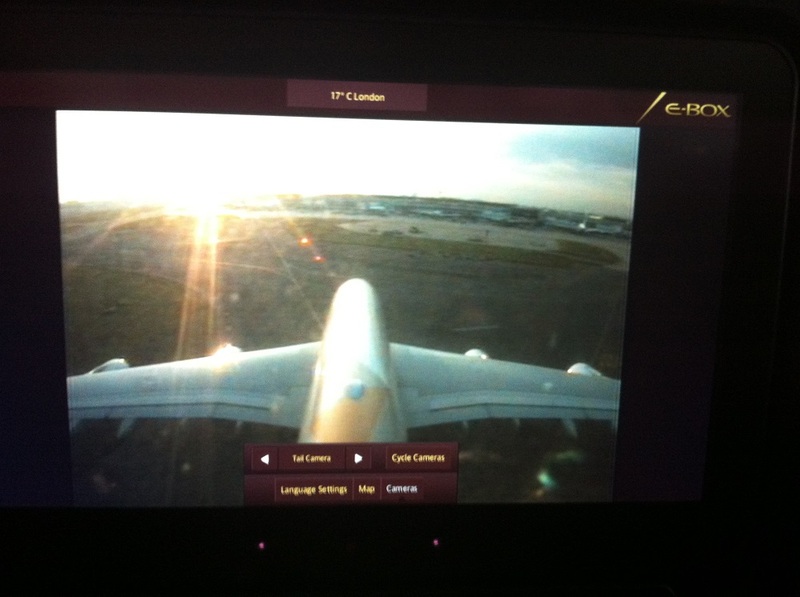 London to Abu Dhabi is about 8 hours and Abu Dhabi to Sydney is about 14 hours. 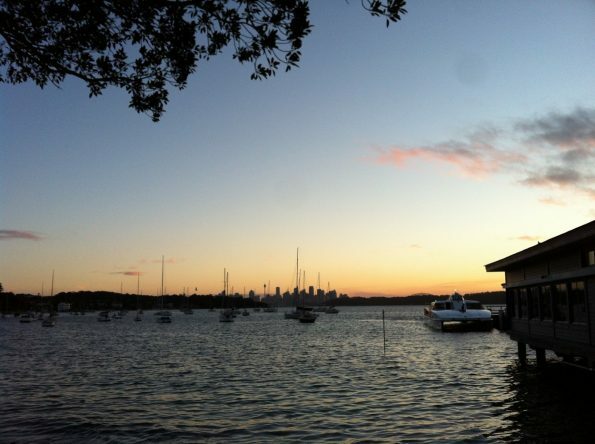 I will divide the post into 2 parts: ‘What to do in Sydney’ and ‘What to do in Cairns’. 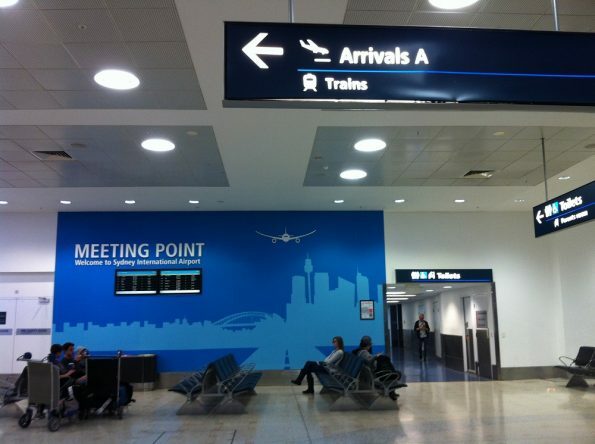 So please also check my other post about Cairns here. Getting to know Sydney history is the best bit. 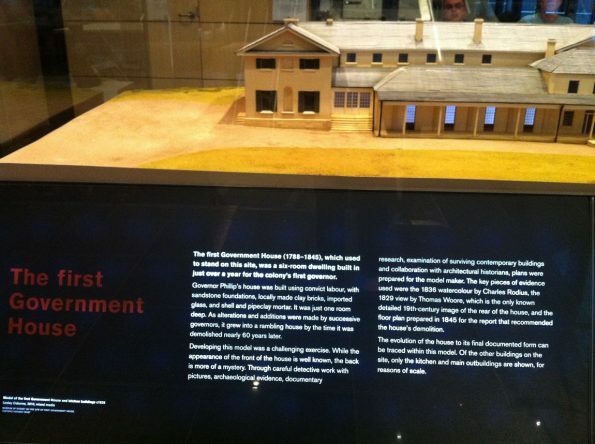 The Museum of Sydney is built on the site of the First Government House. Museum of Sydney, 37 Phillip St.
You can see the model of the First Government House. It carries historical story of the New South Wales as an English colony. 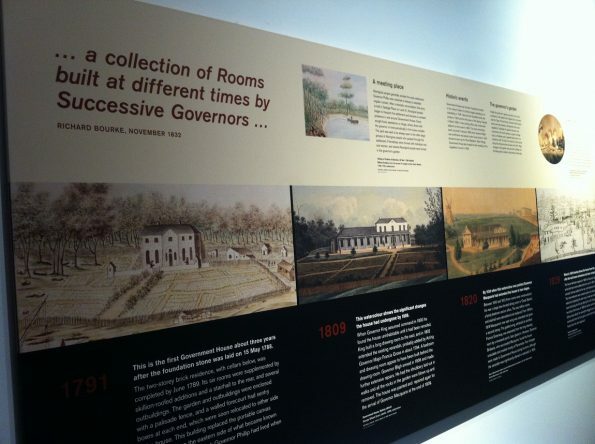 The house was built at the end of the 18th century and you can see how it is evolved. 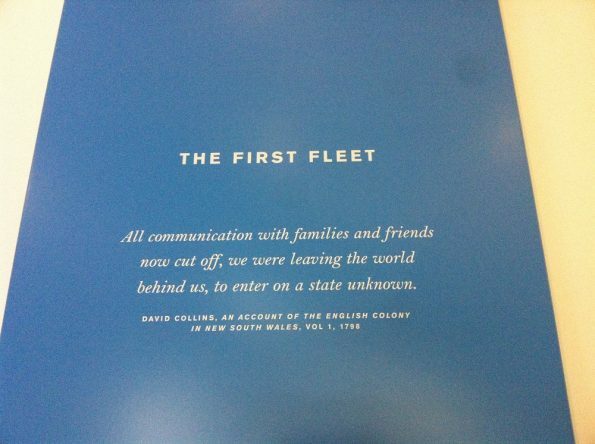 You can also see the First Fleet: a group of ships that comes from Britain. 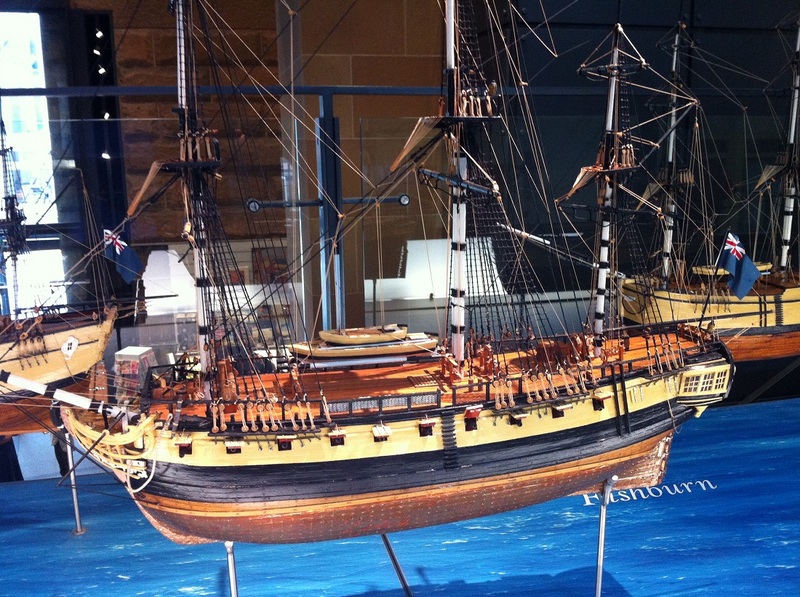 Some of the ships carry the convicts off to Botany Bay. It is incredible that you can see the model of the 18th century English ships. The harbour is a lovely place to stroll around. We were there during winter, so it was cold and windy, but the panoramic view of the harbour is just mesmerising. It is also beautiful to stroll around during the evening. It is very touristy during the day. And you will see a lot of seagulls too. The Sydney Opera House: see the seagulls in the picture? 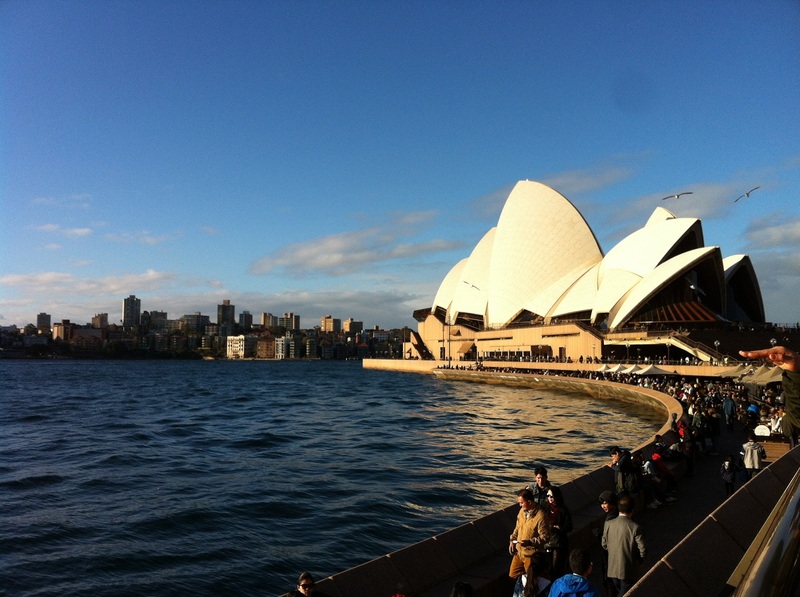 We did not see inside the Opera House. We just take a picture of it from the outside. 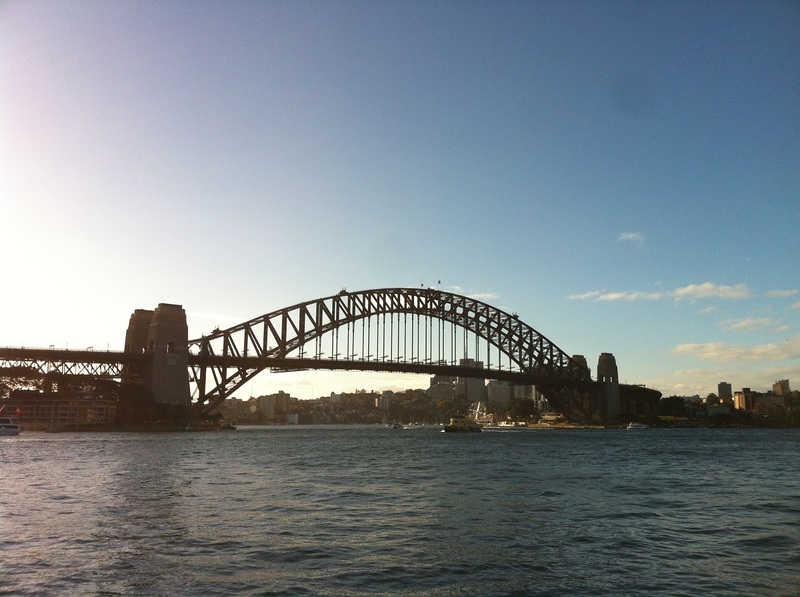 The Sydney Harbour Bridge is fantastic. According to Wikipedia, the construction of the bridge was started at 1923. 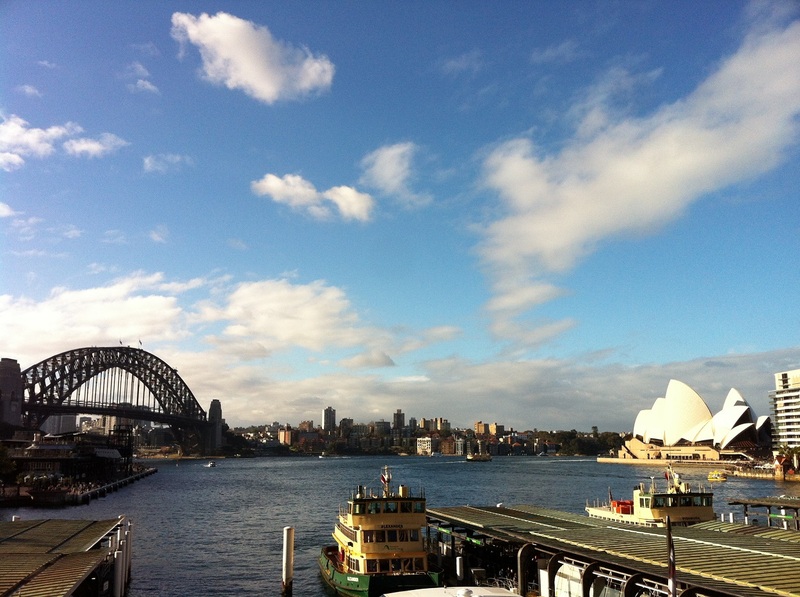 On Circular Quay, there is a ferry to go to Watsons Bay. I recommend to visit Watsons Bay because it is a little tranquil place. You can relax with the view of ships. During sunset it is beautiful. We visit about three antique shops in Sydney. I would say that the antique shops are expensive. And they mostly sell non-Australian antiques such as English and other European antiques. There are very little Australian antiques on sale. Though I understand that Australia is a new English colony that barely established before the Victorian time, so the amount of antiques must be rare. Some of the shops selling English antiques at a very high price. Small English silver for example, can be around AUD$500 where you can buy similar item here in the UK at around GBP£100. Imagine the mark up! 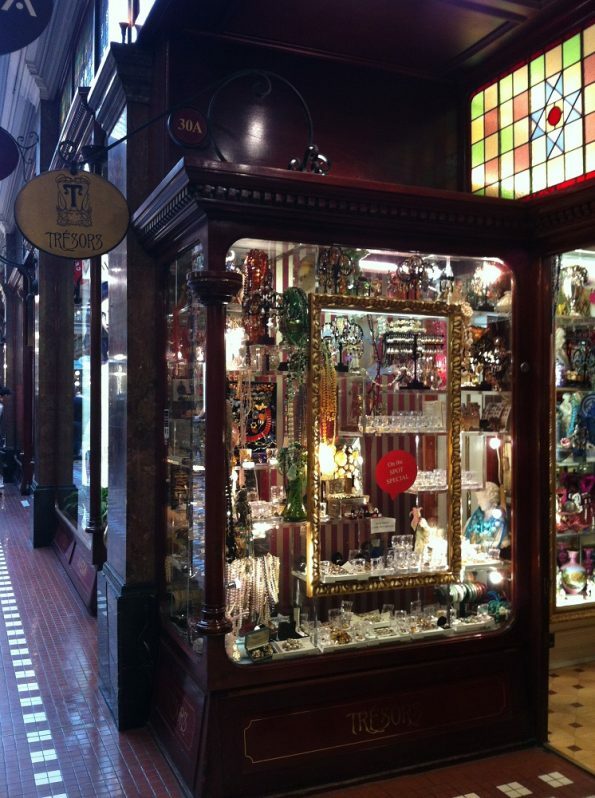 We also visited a couple of antique shops inside the Queen Victoria Building (QVB), again the price is staggeringly high. But still antiquing in Sydney is recommended, because you never know what you will find. 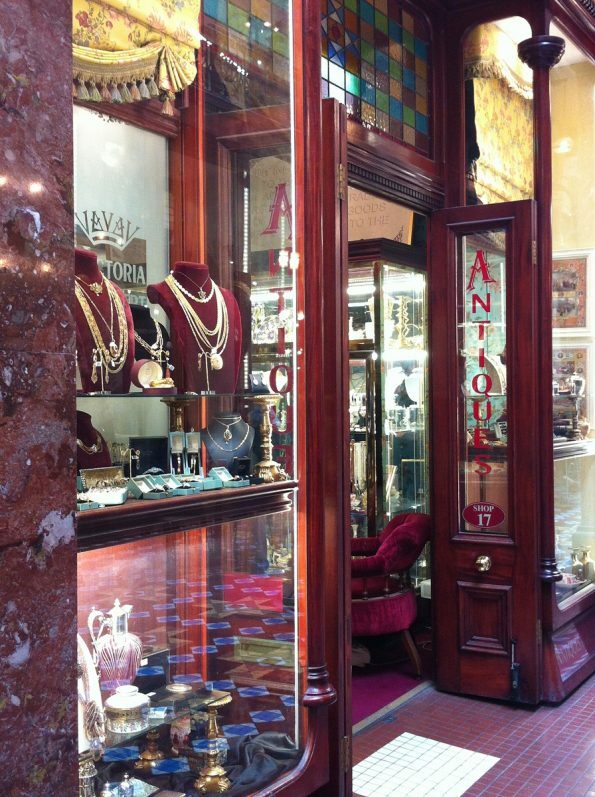 Victoria & Albert Antiques, The Strand Arcade, George St.
My husband bought a vesta case where it is advertised at around AUD$250 and he negotiated it to lower it down to AUD$100. Again, imagine the mark up! Although I understand these antique shops are in prestigious streets in the exclusive area of Sydney, so the rent must be high. 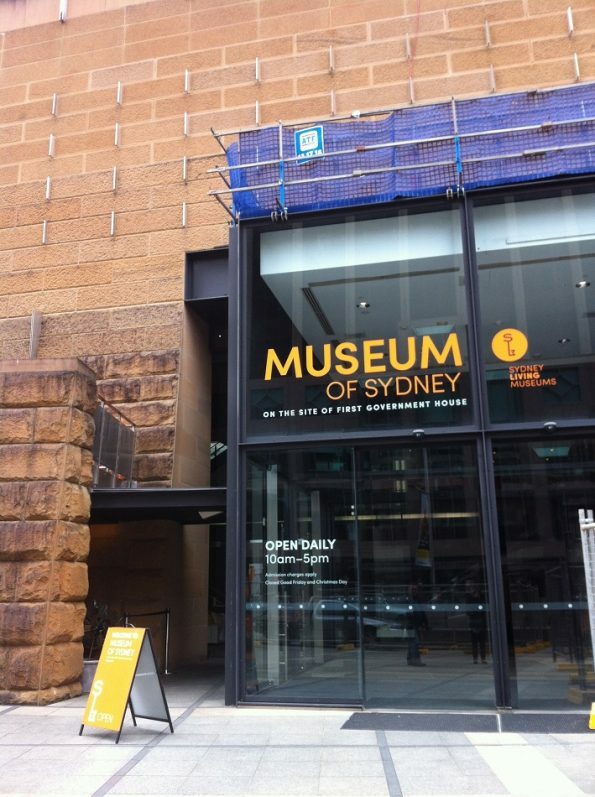 I joke to my husband that we should open an antique shop in Sydney and selling English antiques at sky-high price too! During our time in Sydney, we stay three nights at Travelodge Hotel Sydney Wynyard and one night at Sofitel Sydney Wentworth. 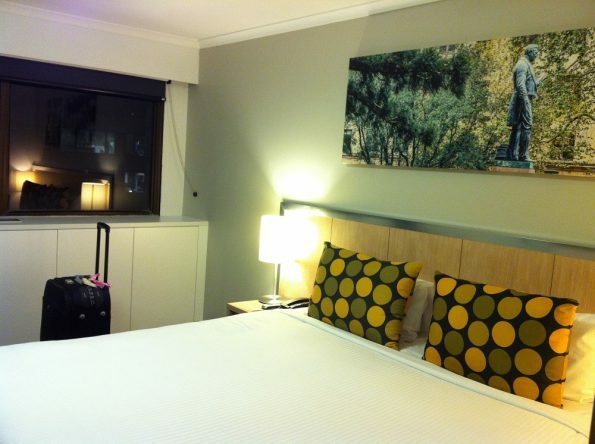 The room at Travelodge Sydney Wynyard is pretty basic but adequate. All that you need is provided. 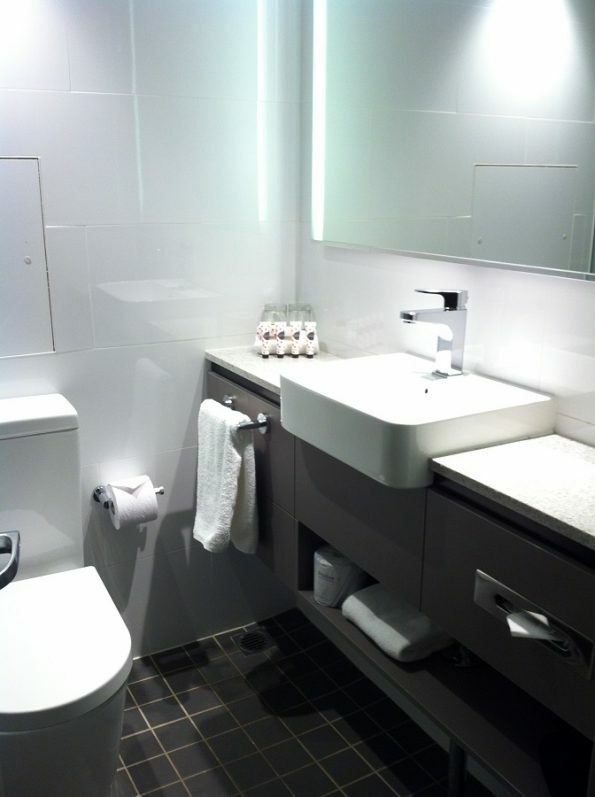 I like the shower room; it is neat, clean, bright, and tidy. The breakfast is delicious. Not too many selection, but the hot food and the chilli ham is tasty. 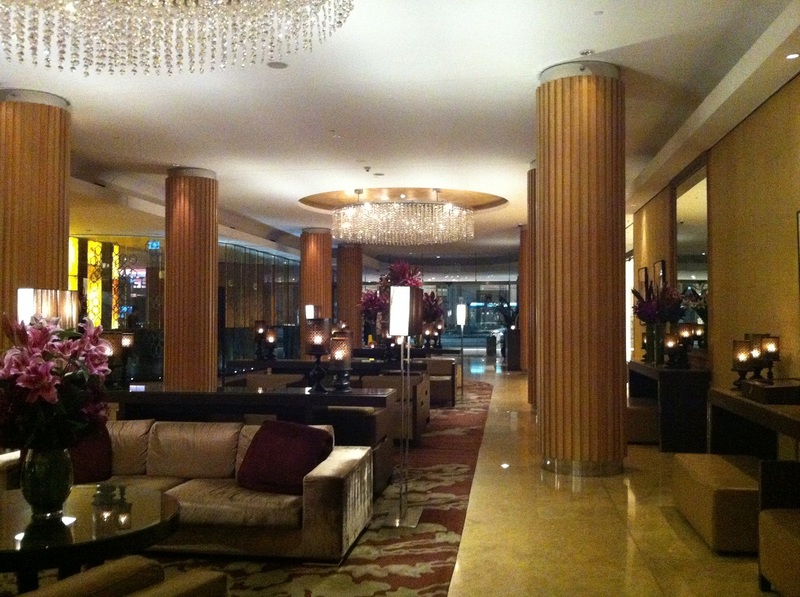 On our last night before we went back to London, we stay for a night at Sofitel Sydney. I love the hotel. 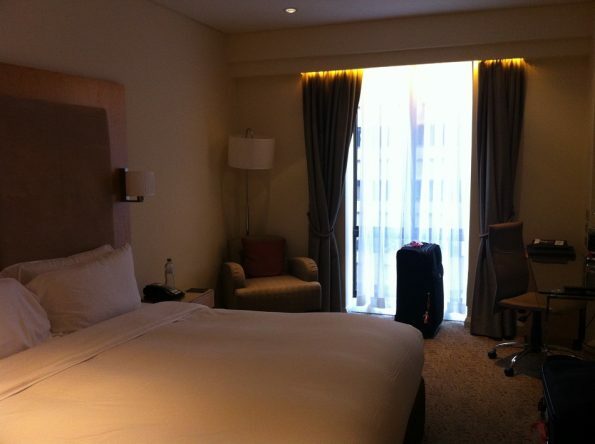 It is luxurious and grand. The lobby presents it all. Our bedroom has everything inside it, including a minibar. 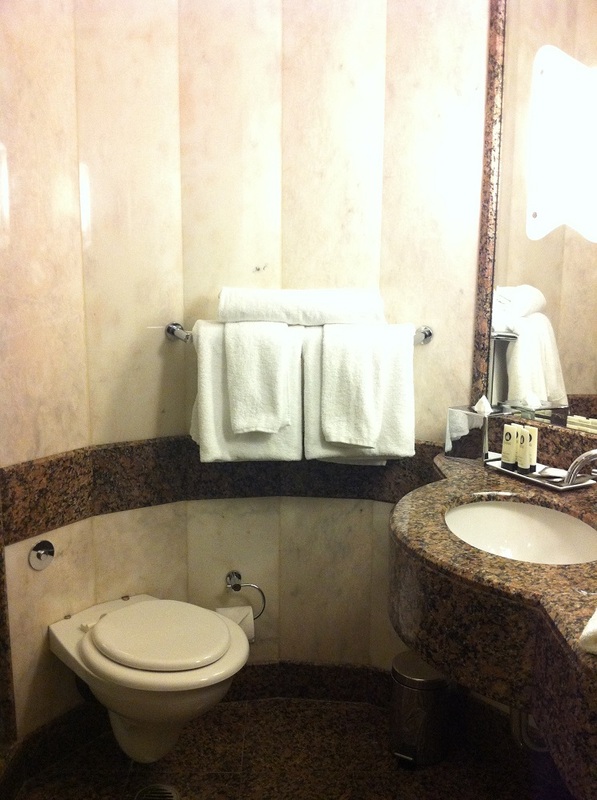 The shower room looks very lush with marble. Only that it has only shower, and not a bath. 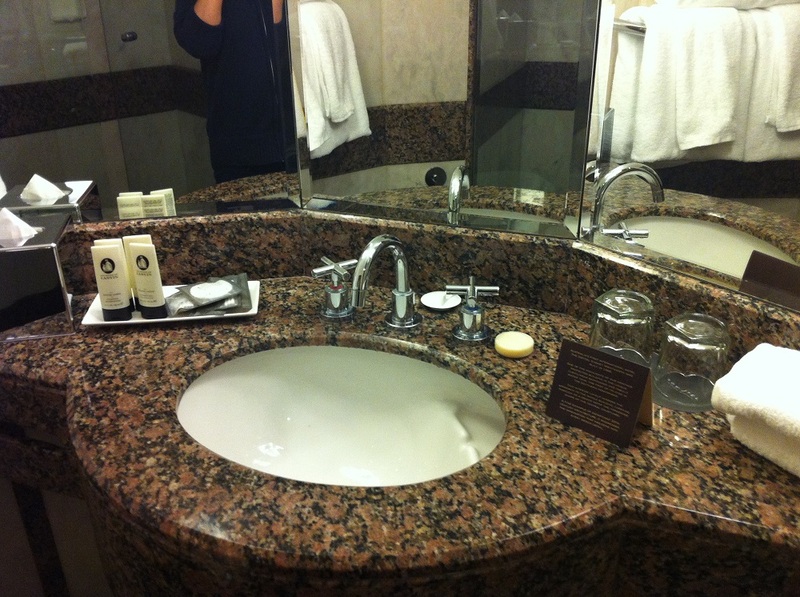 I am wondering why there is no bath in Sydney hotels? Is this true for hotel in Australia (in general) that no bath is provided? Because our hotel in Cairns does not have a bath either. 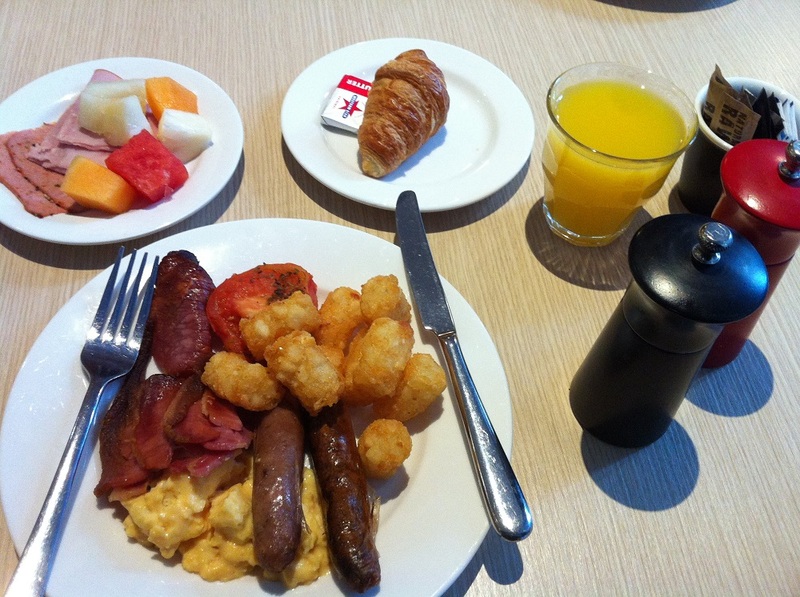 I love the breakfast room at Sofitel. It is overlooking a garden. It was winter when we were there so it was cold to go outside, but I can imagine during the summer it is a lovely place to eat in the garden area. 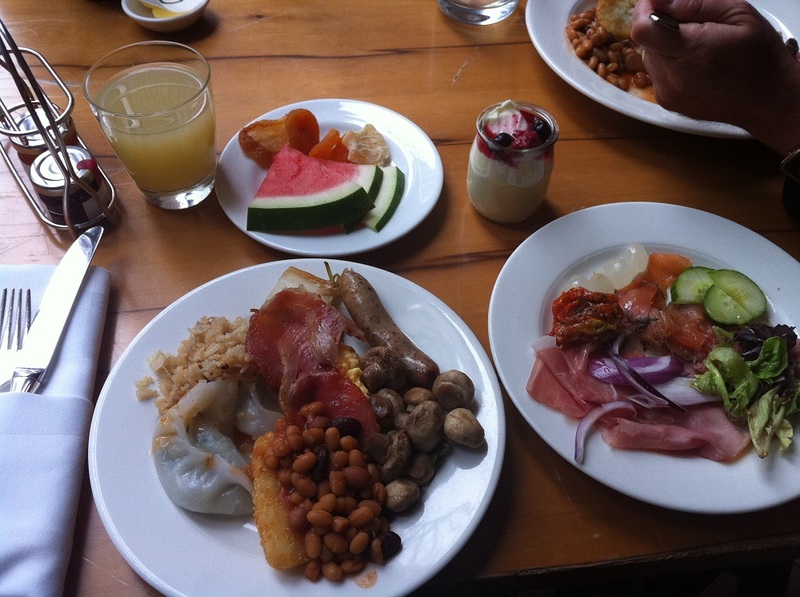 The selection of the breakfast is lovely. It even has dimsum and nasi goreng. However my husband is wondering why there is no croissant. Maybe it was finished as we were coming late. 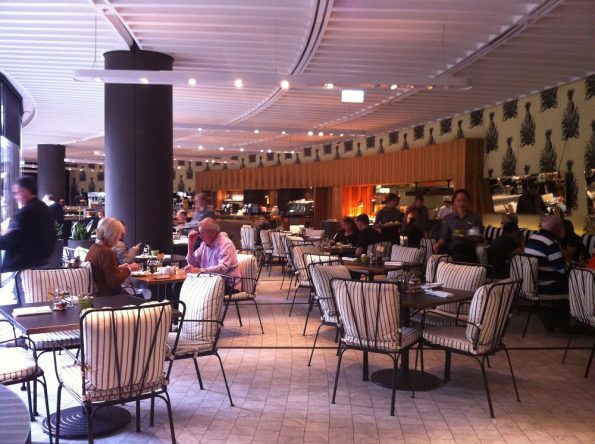 On the Circular Quay, not far from the Sydney Opera House, there is a cool Italian restaurant called Eastbank. The food is delicious and the price is not making your purse empty compares to other restaurants near the Opera House. We went there for lunch as well as for dinner. 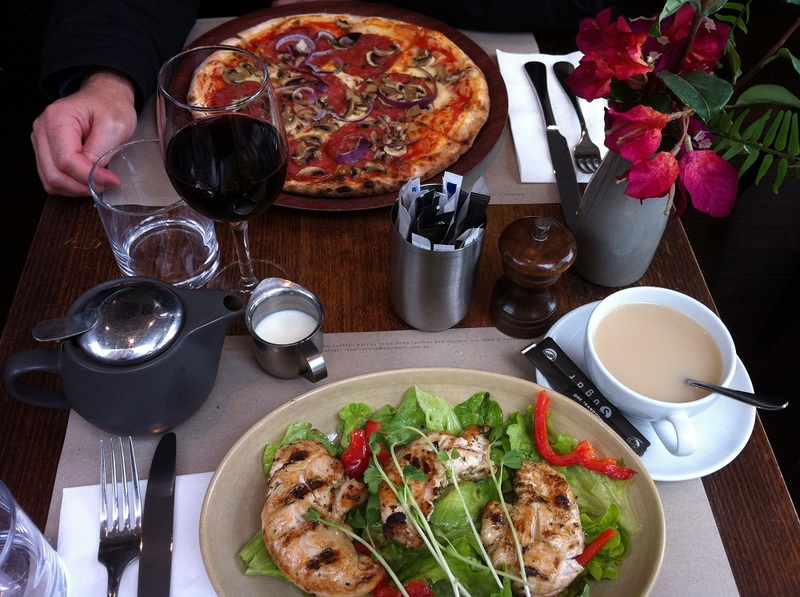 I had chicken avocado salad and my hubby had a pepperoni pizza. They are tasty and reasonably priced. 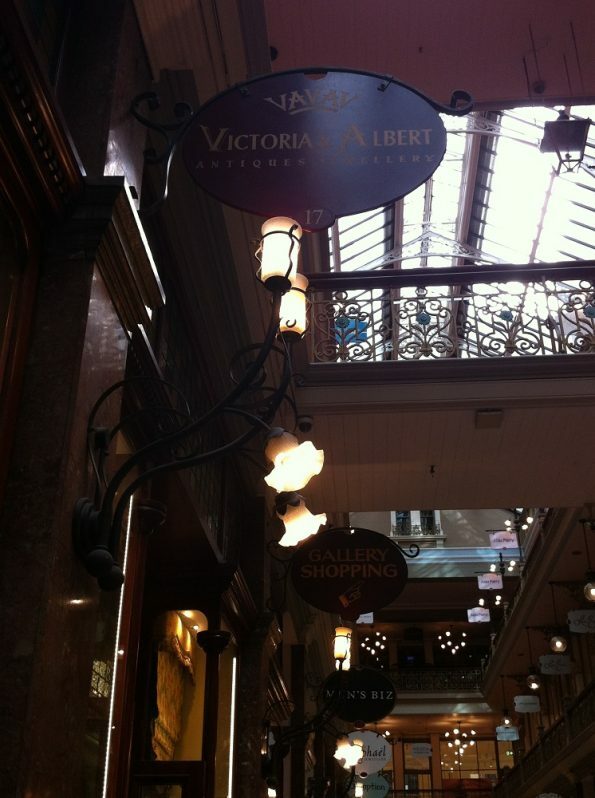 We also went to a coffee bar at the entrance/exit of the Queen Victorian Building, I think it is called QVB Jet Bar Caffe. My husband really loves the coffee. 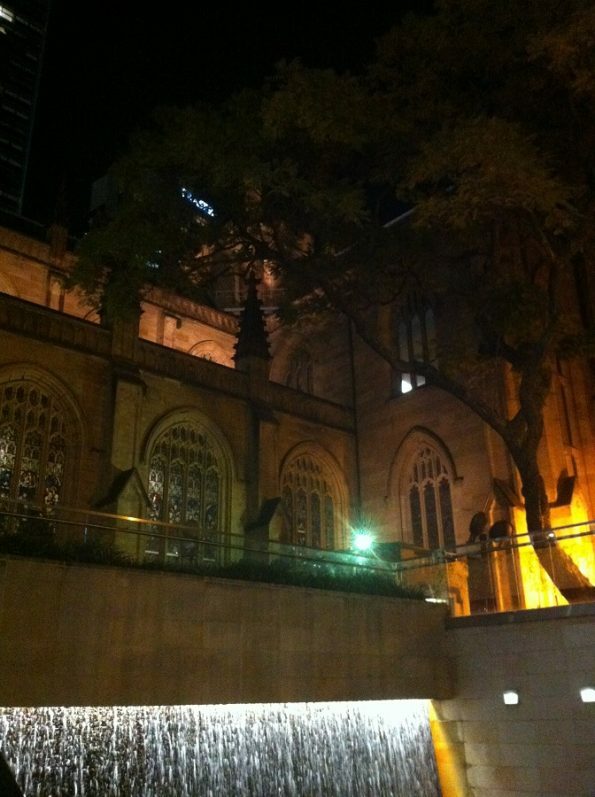 He said it is the best coffee in Sydney he ever tasted! 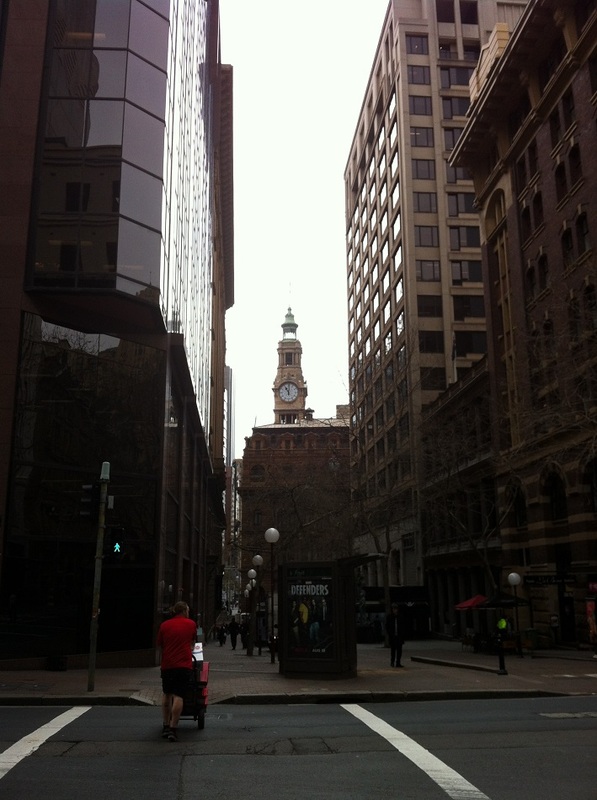 We also had a walk around the Sydney CBD, didn’t try any restaurant there apart from our breakfast at Travelodge Wynyard and Sofitel Wentworth. 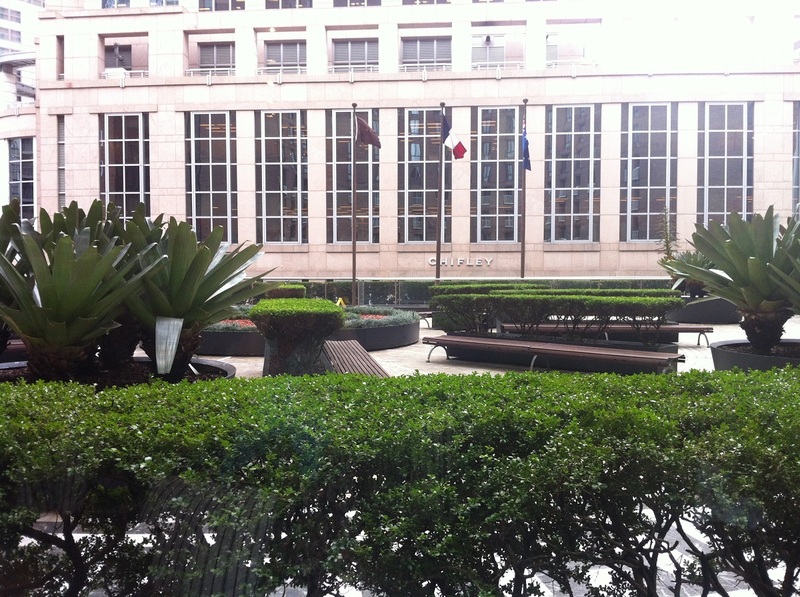 Continue walking towards the town hall and not far from there you will get into Chinatown. 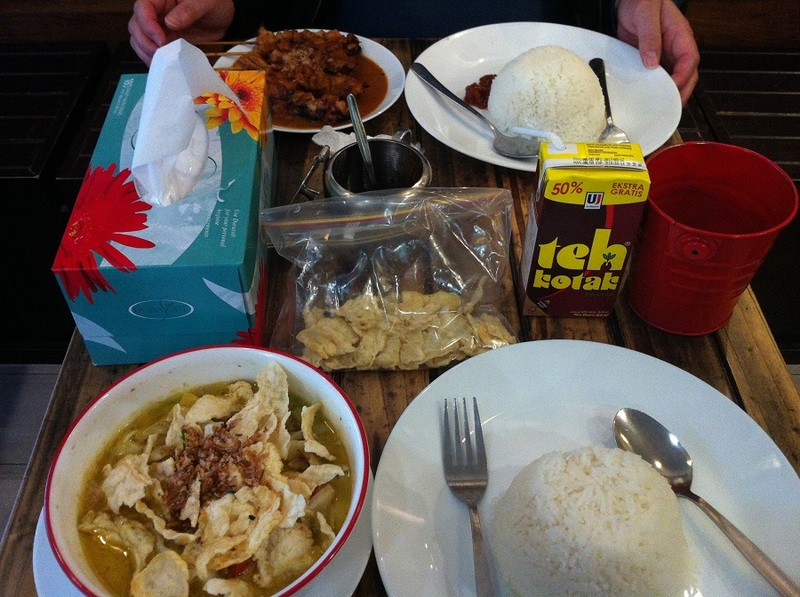 I discover a very nice Indonesian restaurant called Shalom Indonesia. I am so much liking the food! I think the food is authentic and delicious. And the price is very accommodating too! We had a chicken satay and tongseng soup with emping (melinjo cracker). As for drinks I had an avocado juice and my husband had a Teh Kotak. All came to about (only) AUD$33. 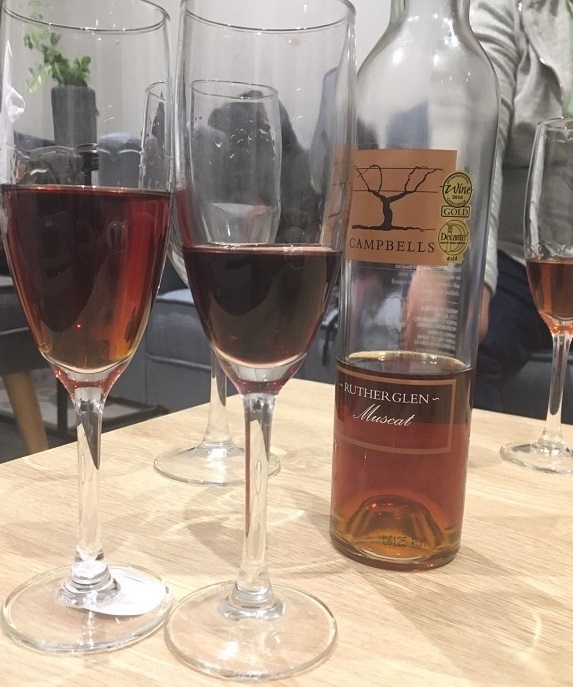 Don’t forget to try the Australian Rutherglen Muscat. It is a lovely, sweet and delicate wine. 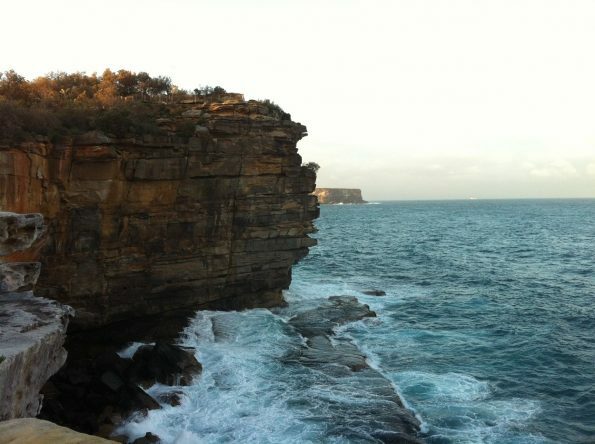 That is it my tips of what to do in Sydney. I hope you enjoy it. Please also read my forthcoming post about my tips in Cairns – Queensland!